These crash-rated retractable bollards let you choose when to block an entrance. 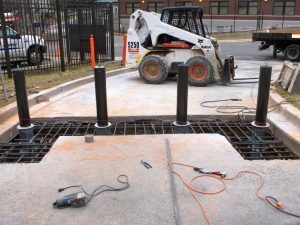 Hydraulic barriers, or automatically-rising bollards, can be a great asset to your home or business. Instead of permanent structures that can’t be moved in the case of emergency, hydraulic barriers can move when needed and protect you the rest of the time. 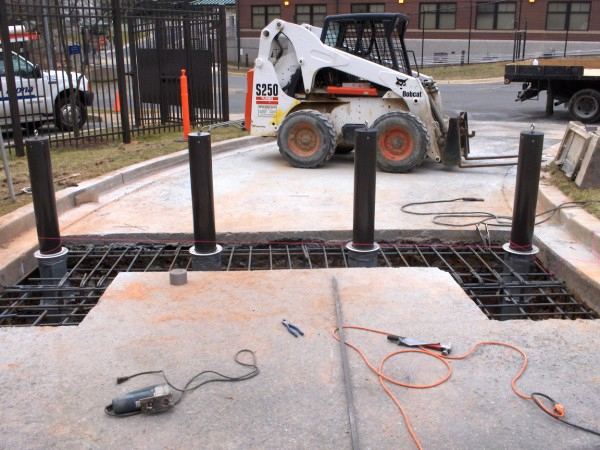 Here are some of the many awesome barriers of hydraulic barriers! Bollards and barriers already protect your business, but don’t you wish you could get them out of the way sometimes? Hydraulic barriers can provide access to those making deliveries or to emergency personnel without needing to illegally park in the fire lane. Hydraulic barriers are also excellent for businesses that frequently host events and struggle to protect their storefront while still allowing traffic flow. Bollards also make your business look much more professional, since they aren’t a bright orange movable traffic cone visually screaming at everyone who walks by. Hydraulic barriers will be there every day, whether you want to use them or not, so you can also save on the space you typically use to store security equipment. Since they are automatic, you never need to worry about paying someone to stand outside near them and manually move them. Many businesses install hydraulic barriers and bollards because they want an easy way to protect their storefront from the worst, control traffic, and increase the level of security. Hydraulic barriers are typically made of stainless steel and comparable metals. With the proper care, they can last the entire lifetime of your property. Since they retract when not in use, you won’t need to worry about them getting dinged during a delivery or an event when they are put away. They also are designed for high driver visibility when they are up. This entry was posted on Friday, January 27th, 2017 at 7:33 pm. Both comments and pings are currently closed.